Economic and gas-price woes might finally make Chargers with the HEMI V-8 a little more attainable. Ever since the Charger’s debut, it’s been one of the least likely vehicles at the Dodge dealership to see any kind of discount. Though it’s no longer fresh meat, the 2009 Dodge Charger sedan retains its stylish appeal for muscle-car enthusiasts—and the performance to match. 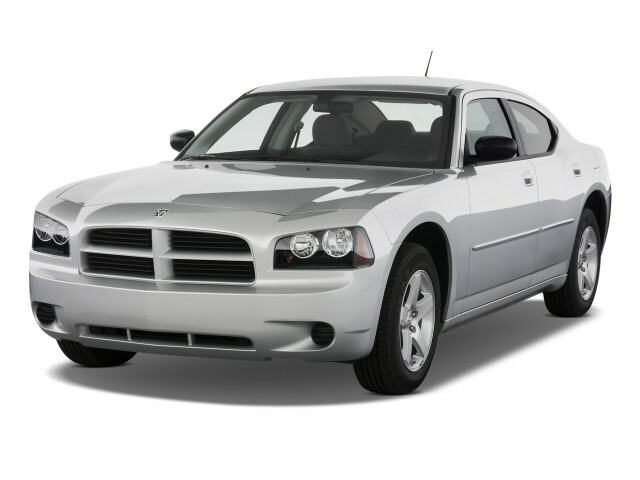 TheCarConnection.com has read reviews pertaining to the 2009 Dodge Charger in order to compile this conclusive assessment. TheCarConnection.com's editors also drove several versions of the Dodge Charger, including the HEMI-powered Dodge Charger SRT8, to provide you with a definitive opinion of this reinvented muscle car. The Dodge Charger is entering its fourth year of production, yet it still sells well, and the styling looks both fresh and different than anything else. The 2009 Dodge Charger hasn't changed much on the outside, with just a new taillamp design and a move for the antenna to the rear window. Otherwise, the Charger keeps its sleek profile, which blends modern styling accents with traditional muscle-car details. The four-door sedan looks great from almost any angle. The Dodge Charger comes with a wide range of engines and trim levels, and it appeals to a very wide audience. The base engine in this four-door sedan is a 2.7-liter, 178-horsepower V-6 that powers the Dodge Charger SE, while a 3.5-liter, 250-horse V-6 is optional for the SE and standard on the SXT. The significantly more exciting Dodge Charger R/T comes with a 5.7-liter HEMI V-8 that pumps out 368 hp and can hit 60 mph in just six seconds. New for 2009 is variable valve timing and a revised optional all-wheel-drive system for the Charger R/T that boosts fuel economy over last year's model. For those with little regard for their rear tires, Dodge offers the Charger SRT8, with a pavement-pounding 6.1-liter HEMI V-8 that produces 425 hp. The SRT8, engineered by Chrysler's Street and Racing Technology (SRT) group, gets to 60 mph in about five seconds, yet—amazingly—still proves compliant in daily driving. The Dodge Charger SRT8 also gets a fuel economy boost for 2009. The 2009 Dodge Charger comes well equipped, featuring standard air conditioning, traction and stability control with anti-lock brakes and Brake Assist, and a tilt/telescoping steering column. An AM/FM stereo is also standard, as well as a CD player and auxiliary iPod jack. For 2009, the Dodge Charger SE gets standard aluminum wheels and upgraded interior accents, such as illuminated front cup holders. Inside, the materials were upgraded last year, and the redesigned center console wears well. Standard LED lighting for the cup holders provides extra illumination inside the cabin, while the SXT gets optional LED-illuminated door map pockets (which are standard on the Charger R/T). The Dodge Charger looks good and has true muscle-car-like V-8 performance, but can it hold its own in the corners? The answer, based on repeated drives by TheCarConnection.com editors, is a resounding "yes." The Dodge Charger sits on top of a chassis that was developed when Chrysler and Mercedes-Benz were still together, and it serves quite well on the Charger. The Charger handles nicely and accelerates even better, with the Dodge Charger SRT8 offering sub-14-second quarter-mile times and a top speed of over 150 mph. Even with the base V-6 engine, performance is satisfying—though it’s not much more fuel-efficient than the V-8s. Steering isn’t the most communicative, but the Charger can be hustled around a hairpin corner with surprising ease. The Dodge Charger lineup also boasts a filter for cabin air, heated front seats, a power passenger seat, full power accessories, and an auto-dimming rearview mirror. Expanded audio options for the Dodge Charger include the MyGIG hard-drive entertainment package and the superb Sirius Backseat TV system that brings live satellite TV into the Charger. Safety remains an area where the 2009 Dodge Charger isn’t at the forefront. Electronic stability control is available or standard on every model of the Charger, but curiously side and side-curtain airbags remain optional on the base SE. Side impact remains an area of concern, with decent four-star results from the federal government, for front occupants but a "poor" rating from the IIHS. The 2009 Dodge Charger boasts fearsome looks that are simply unmatched in the midsize sedan market. 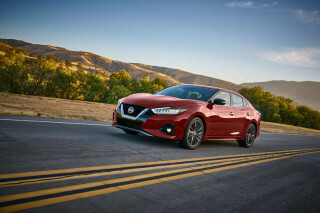 Reviews read by TheCarConnection.com show that this retro-styled four-door sedan is still a styling hit after four years on the market. The Dodge Charger was one of the first of Detroit's modern reincarnations of the late 1960s muscle cars that scorched drag strips so many decades ago. The nostalgic appeal of the Charger runs deep and is only boosted by the tasteful modern styling updates. The 2009 Dodge Charger is bulky, as Edmunds notes that it is "based on the same Mercedes-derived platform used for the Chrysler 300 and [now discontinued] Dodge Magnum. As such the Charger has four doors and is a bit larger than the average midsize sedan." The Dodge Charger is available in several varieties, according to Edmunds, which lists the available trims as "base SE, well-equipped SXT, the performance-themed R/T and the powerhouse SRT8." The exteriors of the first three trims are largely the same, but Cars.com says the Dodge Charger SRT8 is distinguished by "a hood scoop and a more aggressively styled lower bumper with air inlets," styling cues that "makes it look angry." Car and Driver reviewers contend that the Dodge Charger features "polarizing styling," but Autoblog says "the look has grown on people over the years and remains fairly unique." While the Dodge Charger draws comparisons to some of the other vehicles in the Chrysler lineup, Edmunds reviewers point out that "its front-end styling is much more aggressive than that of its siblings, and the rear roof line slopes downward in a coupe-like fashion." Those famous (or infamous) muscle cars of the late '60s and early '70s were incredibly powerful machines, but they never offered much in the way of interior styling. However, this is the 21st century, and Chrysler knows that in order to move the 2009 Dodge Charger off dealer lots, they have to feature a well-planned, attractive interior. By all accounts, they've succeeded, with Autoblog reviewers raving about the "design and control layout, which was straightforward and functional." ConsumerGuide also favors the interior, noting that the "instruments are large and easy to read, but the steering-wheel rim cuts into view of turn-signal arrows and gauges for fuel and temperature." Car and Driver reviewers praise the "easy-to-use controls" and point out that "cup-holder lighting" is one of very few interior changes for the 2009 Dodge Charger. Motor Trend reviewers go so far as to suggest that the 2009 Dodge Charger's "interior provides the feeling of a sophisticated fighter plane cockpit," right down to the instrument cluster and shifter knob that "resembles a fighter pilot's joystick." Handling is surprisingly sharp, but you’ll need to go with the optional V-8 if you want performance worthy of the exciting exterior. Despite its strong, muscle-car looks, the 2009 Dodge Charger is relatively docile in V-6 form. For a true "Dukes of Hazzard" driving experience, you'll need the R/T or SRT8 version of the 2009 Dodge Charger. The 2009 Dodge Charger features four very distinct engines. TheCarConnection.com's research and driving experiences in the Dodge Charger reveal that the V-6s are uninspiring, but the V-8s are more than capable of moving the Charger in a hurry. ConsumerGuide states that "SE models have a 178-hp 2.7-liter V-6 engine," while "optional on SE and standard on SXT is a 250-hp 3.5-liter V-6." 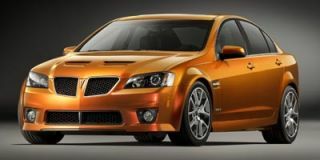 Moving up to the bigger V-8 models, ConsumerGuide says that "R/T models get a new version of Chrysler's 5.7-liter Hemi V-8 with 370 hp, an increase of 30 hp over 2008 models," and the Dodge Chrysler "SRT8 has a 425-hp 6.1-liter Hemi V-8." Cars.com agrees, noting that "the SRT8 is never at a loss for power, and Dodge says it can run from zero to 60 mph in a little more than 5 seconds." Car and Driver notes that "acceleration with the 2.7-liter is tepid, as the engine works hard to move the Charger," but Autoblog reports that "the 3.5L provided perfectly adequate acceleration." Car and Driver also mentions that "the larger V-6 moves the Charger with much more spirit than the base engine, but it will seem a bit slow if one samples the 5.7-liter Hemi V-8." One unusual benefit of the Dodge Charger is that it is a mid-size sedan with available all-wheel drive. ConsumerGuide reviewers report that the base V-6-powered Chargers come with "a four-speed automatic transmission...while AWD versions have a five-speed." Cars.com approves of the transmission underpinning the V-8, calling it a "cooperative five-speed automatic transmission that features Dodge's AutoStick clutchless-manual mode." Unfortunately, they also claim that "while the response is quicker than what you might find in a model of lesser performance, there's still too much shift lag." Automobile Magazine agrees, finding that "the only real letdown is the five-speed automatic, which has a limited, awkward manumatic function and no sport mode. If only we could order this beast with the Challenger R/T's six-speed manual." One area where you won't find anything close to positive reviews of the Dodge Charger is fuel economy. While there are many modern updates on this ’60s classic, fuel economy is still abysmal. 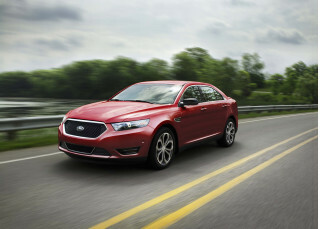 The RWD 3.5-liter V-6 gets an estimated 16 mpg city and 25 mpg highway. On the V-8s, the EPA estimates that the RWD Challenger R/T will get 16 mpg city and 25 mpg highway, while the brutally powerful Dodge Challenger SRT8 returns 13 mpg city and 19 mpg highway. For the AWD versions, the story is slightly worse. The original Detroit muscle cars were straight-line machines and never intended to handle turns in the way that German sportscars do. The 2009 Dodge Charger, however, easily shrugs off its forebears, winning over reviewers with its impressive (for a sedan, at least) handling. ConsumerGuide says "these big cars aren't nimble in quick direction changes, but they have fine balance and grip in turns." ConsumerGuide also praises the ride, calling it "generally smooth and composed," while Automobile Magazine terms it "rough, but never unbearably harsh." Cars.com is more enthusiastic, proclaiming that the Dodge Charger features "a more comfortable ride than expected—even on older, worn-out roads." Autoblog notes that "the only real complaint would be the no-feedback steering," whose "weighting seems entirely relative to the steering angle and not the cornering force." When it comes time to stop the large Dodge Charger, Cars.com is pleased to report that "these performance brakes shed speed quickly at the lightest touch of the brake pedal." Upgraded materials and comfortable seats make the 2009 Dodge Charger a worthy competitor in the segment. TheCarConnection.com discovers that the 2009 Dodge Charger features an upgraded interior highlighted by comfortable seats and an impressive level of quality from the designers at Chrysler. Reviewers are generally quite impressed with the seating arrangement inside the 2009 Dodge Charger. The Dodge Charger seats five inside its generous interior, and Cars.com raves that "the seats have power adjustments and are quite comfortable." ConsumerGuide agrees, giving the Dodge Charger high marks for its "spacious" front seats, with "ample headroom and legroom" and "generously sized seats." The rear seats are nice as well, and Autoblog notes that "the Charger's long 120-inch wheelbase means that back seat passengers have ample leg room and can stretch out in comfort. The only downside is that the sloping roofline may cut into some occupants head room compared to a 300." Autoblog also points out that, "for those whose proportions of leg-to-arm length might not match whatever standard size the interior designers selected, there is also switch on the side of the driver's seat that allows the entire pedal cluster to be adjusted for distance from the seat." The large dimensions of the 2009 Dodge Charger also allow for quite a bit of storage space, especially compared to some big-name competitors. 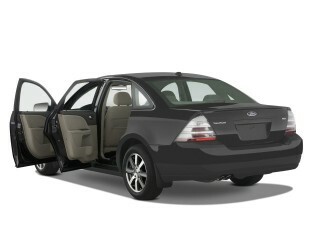 Cars.com says that "if you need room to carry large items, the Charger also has a standard 60/40-split folding backseat, a feature that's less common in large cars than it is in compact and midsize models." ConsumerGuide reports that the Dodge "Charger's trunk is usefully sized and shaped, but a relatively small opening complicates loading bulky objects. The standard split-folding 60/40 rear seatbacks enhance versatility, though they don't lay completely flat." Materials aren't usually a point of praise on Chrysler vehicles, but an upgraded interior for the 2009 Dodge Charger is beginning to change that. Cars.com says that the "Charger has one of Dodge's better interiors in terms of materials quality, panel fit and refinement of the controls." There is some disagreement between reviewers, however, as Automobile Magazine remarks that the SRT8's interior is not "as good as it should be for $44,000," but ConsumerGuide feels that the materials "are appropriate for these prices, with solid feel and a nice array of padded surfaces." The score is settled by Autoblog, which casts its vote in favor of appropriate quality by contending that "the materials on the dashboard are now soft touch with a more appealing texture. There are no more visible edges with unfinished parting lines from the molds. We're still not talking Lexus or Infiniti here, but this is a Dodge at a Dodge price point." Car and Driver also points out that "no subassemblies rattled or squeaked" during their test drive. Cabin noise is well controlled in the 2009 Dodge Charger. 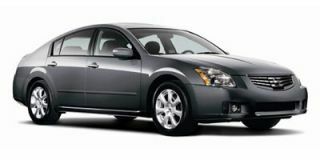 Cars.com notes that it is "rather quiet in the cabin, with only a hint of wind noise," although ConsumerGuide says "wind rush [is] evident at highway speeds." The 2009 Dodge Charger is one of the few remaining big sedans without standard side airbags, and its crash-test safety doesn’t match its strong, assertive stance. The 2009 Dodge Charger offers unimpressive crash-test results overall, with decent ratings from the federal government and less impressive scores from the insurance industry. The fact that some of the more usual safety features aren't standard is a bit disappointing as well. The 2009 Dodge Charger excels in NHTSA crash tests, according to TheCarConnection.com's research. In federal government tests, the 2009 Dodge Charger earns perfect five-star ratings in both of the front impact tests, as well as five stars for side rear passenger impacts. The only blemish on its NHTSA scorecard comes in the side driver impact category, where the 2009 Dodge Charger earns four out of five stars. The IIHS tests reveal a different side of the Charger. In insurance industry tests, the 2009 Dodge Charger earns the highest possible rating, "good," for frontal offset impacts, but also a worst-possible rating of "poor" in side impact tests. That’s without the optional side airbags; with them the rating improves to "marginal." Speaking of safety equipment, the Dodge Charger offers some noteworthy features as standard on the high-performance models. Cars.com observes that the "Charger SRT8 has standard antilock brakes and an electronic stability system (they're a $1,025 option for the base Charger). 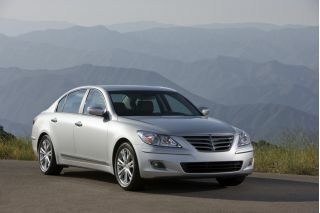 Side-impact airbags for the front seats and side curtain airbags are grouped together as an option, too." Reviewers are generally impressed with the stability system, as Autoblog says it "actually lets the rear end slide out just a bit around corners before gently nudging it back without ever jerking the chassis around," allowing for a little winter-time fun. Car and Driver reviewers note that "dual front airbags and tire-pressure monitors are standard on all models," but "disappointingly, curtain airbags and front-seat-mounted side-impact airbags aren't standard; they're options on all trim levels except the SE, on which they're not available at all. Anti-lock brakes, traction control, and electronic stability control are optional on the SE but standard throughout the rest of the lineup." Another item hampering the Dodge Charger in the safety category is driver visibility; several reviews read by TheCarConnection.com point out various problem spots from the driver's seat. Cars.com says that "the position of the rearview mirror and the car's upright A-pillars impede visibility when you're driving on curvy roads." Autoblog also notes that "the relatively upright windshield means the leading edge of the roof extends forward quite a bit. If you are at an intersection where the stoplights hang over the center, you may need to lean forward to see them," while ConsumerGuide points out that the "thick front roof pillars obscure [the] view to front corners." You might be tempted by the wide range of features on the 2009 Dodge Charger, but be aware that a tricked-out Charger can run well into the $40,000 range. Like most new vehicles in the Chrysler lineup, the 2009 Dodge Charger is packed with standard features. Options are also comprehensive and can quickly push the price well past what you might expect. According to ConsumerGuide, all versions of the 2009 Dodge Charger get features like "air conditioning, interior air filter, tilt/telescopic steering wheel, cruise control...AM/FM/CD/MP3 player," and full power accessories. Moving up to the Dodge Charger SXT, Cars.com notes that a "Boston Acoustics speaker system" is standard, while the Dodge Charger R/T and SRT8 get "heated front seats [and] a power passenger seat," according to ConsumerGuide. The options list is enough to keep any potential buyer browsing brochures for hours. Cars.com highlights the availability of "an optional entertainment and navigation system," while Autoblog elaborates by pointing out that "the navigation system in the Charger [is] also equipped with SIRIUS traffic information." ConsumerGuide mentions that "newly available on the 2009 Dodge Charger is Chrysler's uconnect multimedia suite, which can include a wireless cell phone link, 30-gigabyte hard drive for storing digital music and picture files, and a navigation system with real-time traffic information." Kelley Blue Book mentions the availability of "a power sunroof," while Automotive reviewers rave about the available Sirius Backseat TV entertainment system that beams live satellite TV straight into the rear cabin of the Dodge Charger. The water pump is inside the engine and not on the outside. Problems with the wiring on the fan blower resistor. Had to run a ground wire from the resistor to fender well to create a good ground for the fan to... The water pump is inside the engine and not on the outside.